Tomorrow, Ashton Kutcher will appear on Oprah talking about Twitter. Oprah has secured the @oprah address and already has 43k followers before she’s sent one tweet. Forget that Ashton Kutcher will be talking about his sparring with CNN to be the first to have 1 million followers. Forget as well that the act of appearing on Oprah talking about Twitter will drive huge numbers of new users to to the site. Forget that some silly people are already saying silly things like the inevitable crash of Twitter’s servers will send people rushing to their competitors. 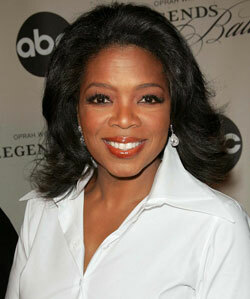 The huge event here is the possibility that Oprah herself will actually start to use Twitter. That she’ll recognize the impact she could have with Twitter, and add it to her communications quiver. If Oprah does start Tweeting, and assuming at least some of it is her doing it herself, the argument over who got to a million followers will be ancient history. Oprah will storm past both CNN and Ashton Kutcher within weeks and leave them in the dust. Neither of them will ever be in first place again, and nor will anyone else. She will cement her place as the person with the most followers on Twitter. Oprah – Queen of Twitter. Good luck @ev and @jack and @biz the founders of Twitter for their own battle tomorrow. Ta ra Facebook …a footnote?